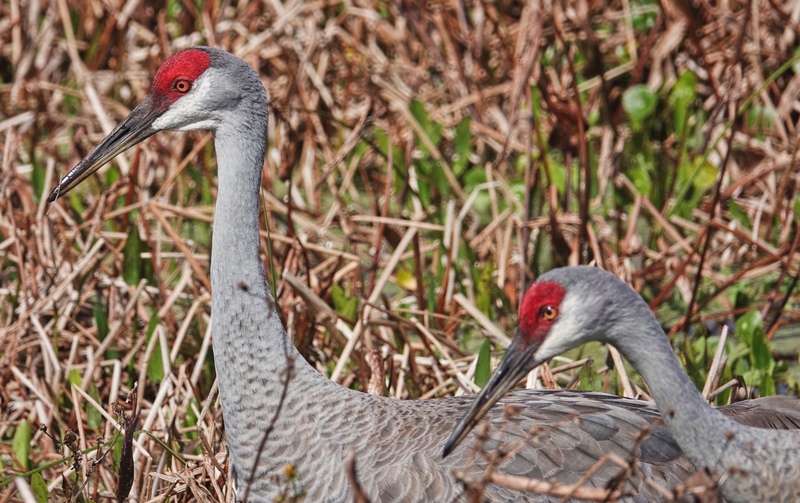 I wrote about my companionable encounter with the two Florida Sandhill Cranes at Orlando Wetlands Park last week, and shared an extreme close-up of one of the birds. The pair were certainly comfortable in my presence. I like this double portrait of the two. There is a balance and a contrasting tension in the posture of the Cranes and in the composition. Sony RX10iv at 567mm equivalent. My birds and wildlife modifications of Program mode. 1/1000th @ f5.6 @ ISO 100. -.3EV. Processed in Polarr.